Here at StKildadentist we aim to deliver quality, contemporary dental care that’s tailored to each individual patient’s needs. Please watch our introductory video for a brief overview of the Practice and then please take some time to explore our website in more detail to find out why you should choose us as your dental healthcare partners! 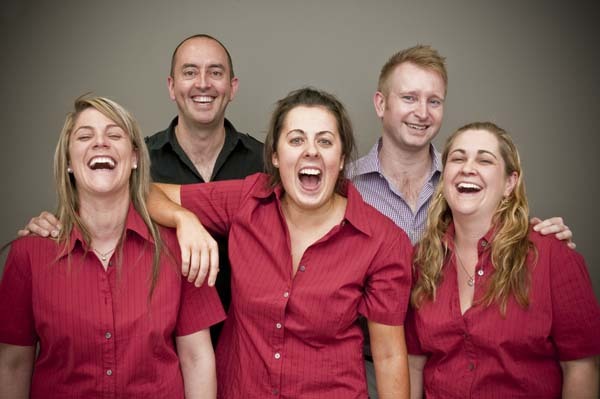 Here at StKildadentist our aim is to provide you with high-quality, ethical dentistry at a reasonable price. All the dentists working at StKildadentists trained in first-rate dental schools in either Australia or the UK and have anywhere from 5 to 20 years+ clinical experience. For more reasons on why you should choose StKildadentist, please click here. Concerns about cost have been shown to be a major factor in people deferring or delaying dental treatment. Unfortunately deferring treatment can sometimes result in smaller problems such as early cavities becoming bigger (and more expensive!) problems such as Root Canals or Extractions. In order to address this issue, StKildadentist is delighted to offer New Patients comprehensive dental examinations for the excellent value price of $99 which also includes an oral cancer screen, as well any x-rays that are deemed necessary. For more information on your $99 consultation as well as other commonly requested prices (such as for crowns etc) please click here. Along with cost, fear of pain has been shown to be one of the major factors in delaying dental treatment. This is understandable as many people have bad memories of painful experiences at the dentist from when they were younger and dentistry was less sophisticated. StKildadentist understands this and strives to make your visits low-stress and pain-free and as enjoyable as possible. To learn more about the techniques we use to achieve this please click here. Congratulations on having taken the decision to ‘take the next step’ in improving your oral health! To book yourself in for your $99 New Patient consultation, please call 9534 8611 or simply book online. If you think that your needs might be more complicated (such as an emergency appointment / toothache / etc) then please call (03) 9534 8611 to speak to one of our helpful team members or email us.